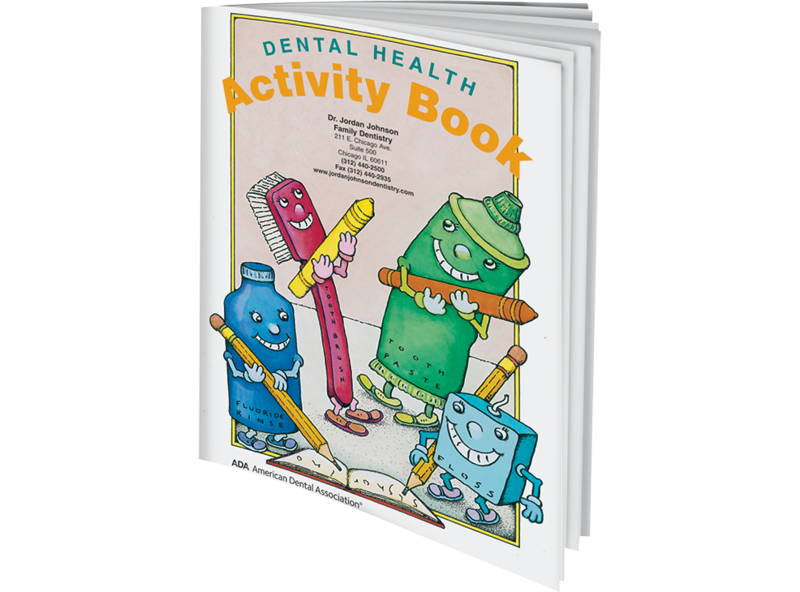 Give your patients and school groups coloring and activity books that feature a dental health message and your contact information. 16 pages. Minimum order 100. Click Add to Cart then personalize for free.